Unique 24 VDC power supply connection for the entire Digiware system. DIRIS Digiware D displays and C-31 system interfaces act as the point of access to the Digiware system, proviDINg one power supply and communication connection to the entire system. 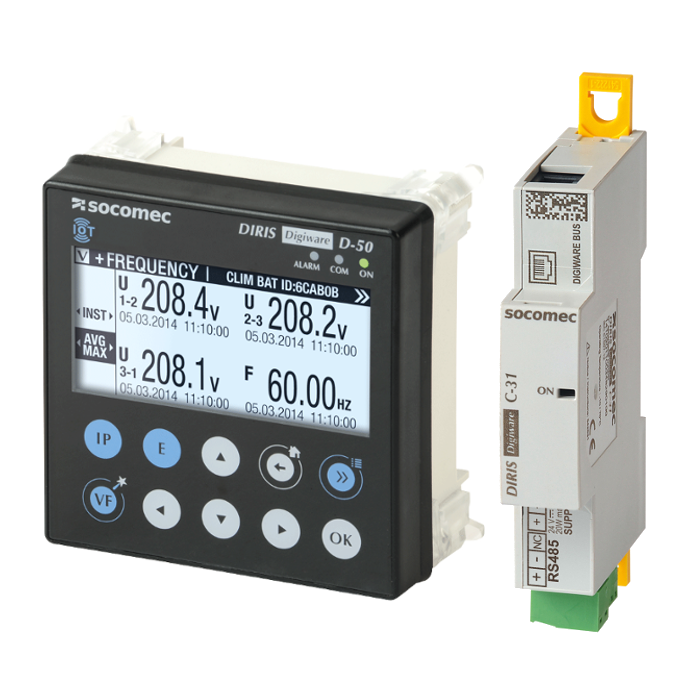 - Communication of data over RS485 or Ethernet in multiple communication protocols such as Modbus RTU, TCP, BACnet, and SNMP. The DIRIS Digiware D-70 display includes a web based software WEBVIEW-M.
For applications without a display, the DIRIS Digiware C-31 interface centralizes data for the entire system over RS485.